Jodi and her mother Paulette Wolf are top notch when it comes to corporate event planning. 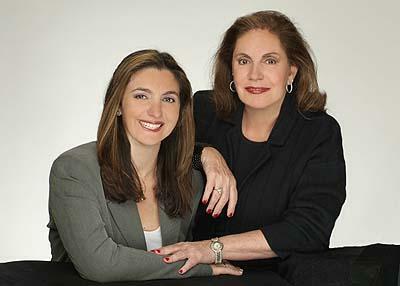 Since the formation of their company by Paulette in 1978, their unique creativity, innovation and expertise has shown through with clients such as The Oprah Show, Disney, the Super Bowl, and the Ft. Lauderdale Air & Sea Show. In this exclusive interview, Jodi Wolf shares her experience and offers some event planning tips and insight about how to break into this exciting field. LoveToKnow (LTK): Jodi, your career has given you the opportunity to go to all kinds of exciting places and meet interesting people. What is one of your most memorable events you have organized? Jodi Wolf (JW): There have been many events that have been memorable, but I think if I can only pick one, it would be the Centennial Olympics in Atlanta where we produced over 250 live performances over 33 days in six different venues simultaneously for the athletes, coaches and officials. It was a thrilling opportunity. LTK: Event planning is an interesting field; what inspired you to choose it for your career? JW: My mother is my inspiration. She started this business at a time when less than 10 percent of all businesses were owned by women. Her first account was a big one - McDonald's. She produced a series of anniversary events nationwide for the company. I literally grew up in the business. She put me to work early on. One of my earliest recollections is, at age 10, escorting Bill Cosby from his hotel suite to an event in the ballroom. I couldn't imagine doing any other type of work. LTK: Are there any types of events or parties you would not consider for a project? JW: Paulette and I love the challenge of doing something that we have never done before, but the client needs to be open and interested in what we bring to the table. We do mostly corporate events, but we generally only take on a couple of social events a year. Nothing is too large or too small, but it needs to be the right fit for us. LTK: In planning an event, what have been some of your most difficult challenges? JW: There are two: Mother nature and a client who doesn't take the advice that they have paid for. We do numerous outdoor events, and we always have to plan with bad weather in mind. It can be discouraging when you've given a client what you know is good advice, and they choose not to take it. However, it's all part of being a professional in this business. LTK: What do you enjoy most about event planning? JW: I love creating something from nothing. I love taking a blank canvas and bringing an event completely to life. LTK: In your book Event Planning Made Easy, you break down the process into seven simple steps. For those of us out there that are new to organizing events, what is the most important step? JW: They are all equally important because they all work together. It is like a recipe - you need all of the ingredients to make it work the right way. LTK: Are you and Paulette planning to collaborate on another book together? JW: Yes, we have a couple of ideas in the works. That's all I can say right now. LTK: If your party or event has a tight budget, what are some ways you can cut costs without sacrificing the quality or success of its presentation? JW: You can invite fewer people in order to keep the quality of food, ambience and entertainment high. In the end, you need to be realistic on what your budget will allow and plan accordingly. You cannot get a lobster dinner on a burger budget, but you can still have a terrific party on a tight budget; you just need to spend your money the right way. LTK: What advice would you give someone who was interested in becoming an event planner? JW: I recommend that you see the events industry from all of its different vantage points, so you can choose what is the most interesting to you. My mother encouraged me to work for a caterer, a tent company, a hotel, a venue and a florist to make sure that I had a true understanding of all of the elements that go into an event. It definitely gave me a realistic view of the industry and what it takes to be a true expert in the field. LTK: What are the top three traits or skills every event planner must have to excel? JW: You must be organized and detail-oriented. You must have good communication skills. You shouldn't be afraid of hard work. If you want to get into this industry because you think it is glamorous, you are wrong. The behind-the-scenes detail work is not glamorous. You have to be passionate about the industry because event planning is a ton of work, late hours and the frustration of clients who don't always listen. But I love what I do, and I wouldn't do anything else! Would you like to learn more from Jodi and Paulette Wolfe about event planning? Check out their book Event Planning Made Easy, or visit their company website Paulettewolfevents.com for more information.